Anna Barnes plays Jojo in Immersion Theatre’s larger-than-life musical extravaganza, Seussical the Musical. The fantastical world of Dr. Seuss bursts onto the stage, brimming with fun and excitement for ‘thinkers’ of all ages, set to an electric score and co-conceived by Monty Python’s Eric Idle. Seussical the Musical is at Southwark Playhouse Thursday 22nd November – Saturday 29th December 2018. What can you tell us about Seussical the Musical, which opens next month at Southwark Playhouse? It is a fun, exciting, wacky show that is suitable for audiences of all ages which allows the audience into the magical world of Dr Seuss this Christmas! It is definitely a show you do not want to miss! Will adults be able to enjoy the show as much as children? Of course! Apart from the absolutely incredible musical score written by my favourite musical theatre composers of all time, Lynn Ahrens and Stephen Flaherty, the morals and messages that this show highlights are so important and meaningful to any age! The characters are all so different and bring such contrasting qualities to the show, which older audience members will definitely be able to relate and connect with! You play Jojo, the smallest Who of all, who has a big part in Seussical The Musical, tell us about it? You’re just about to start rehearsals, what are you looking forward to about the rehearsal process? I’m mostly looking forward to getting to work with such an incredible cast and creative team! I’m also so excited to be fully immersed into the magical world of Dr Seuss and relive my inner 8-year olds dreams! I can’t wait to create something really special and exciting and to have the opportunity to perform at the Southwark Playhouse is such a dream come true for me! Have you worked with any of the other cast before? 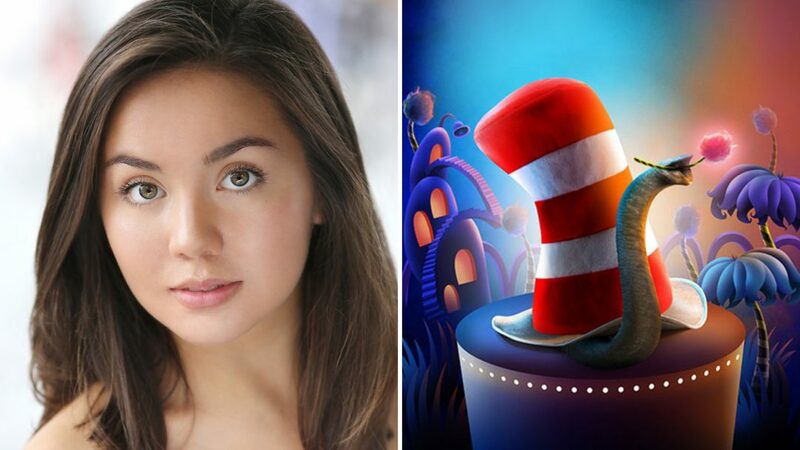 I haven’t worked with anyone before professionally as I will be making my professional debut with Seussical The Musical after graduating from GSA this year! However, I’ll be performing again with Robbie who plays one of the Wickersham brothers who I have known ever since I was tiny from a stage school we used to attend on the weekends as children! Funnily enough we both performed Seussical whilst attending the school, so it really is amazing to be able to work on this show again with him, it feels very nostalgic! Why do you think the work of Dr Seuss works so well as a musical? Because there are no boundaries! The world of Dr Seuss is so magical, crazy and anything is possible! It also allows creatives to be as wild and creative with the piece as they want without anyone questioning it! The poems are also incorporated into some of the songs which adds to the magic of it all! Who is your favourite Dr Seuss character and why? By no surprise my favourite Dr Seuss character is The Grinch! It was one of my favourite Christmas films to watch growing up and the film is genius, hilarious but also so touching! What would you say to anyone thinking of coming to see Seussical the Musical? You are in for such a treat! This cast will not disappoint, and the show is such a feel good, touching story with some amazing songs that will be stuck in your head for weeks after seeing it! Definitely buy your tickets now and we can’t wait to see you there in Whoville!